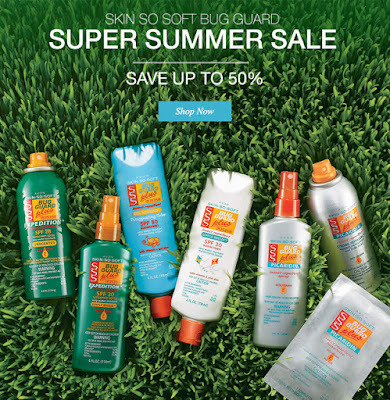 Avon Skin So Soft Bug Guard Sale. Save up to 50% OFF!! Coupon Code: AVONFB60 for 20% OFF $60 online orders. Get yours today, Limited time only!! Coupon Code: WELCOME for 20% $50 online orders. One time use. Skin So Soft Bug Guard on sale now!! Prices as low as $4.99 through campaign 17, 2015!! Visit my website for list of ingredients for use. Visit my website for use on babies and children. Shop campaign 17 2015 sales online NOW! !